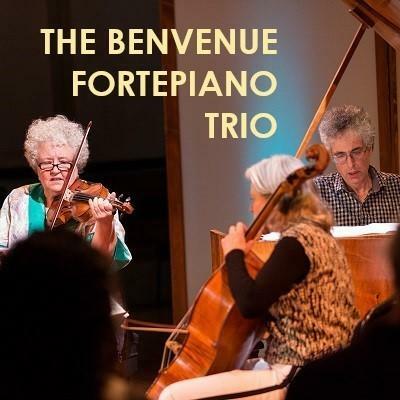 The San Diego Early Music Society is pleased to present the Benvenue Fortepiano Trio, featuring renowned violinist Monica Huggett, cellist Tanya Tomkins, cello, and Eric Zivian on the fortepiano. Sometimes described as “the Little Orchestra,” the piano trio with violin and cello still captivates by offering both lyricism and musical force. Employing the fortepiano—the direct ancestor of today’s piano—and gut strings to restore the original sonic balance between the instruments, the Benvenue Fortepiano Trio offers a program of classical music by Haydn, Mozart, Beethoven and Hummel, written in the same decade and by composer-performers who all knew and influenced each other.